Upper Deeside is known for its many good walks. Loch Muick 7 miles round the Loch is especially popular where you often see Red Deer and lots of wild birds. Can you recommend any other Lochs in Scotland to visit with lovely walks and wildlife like above?? Good topic! I would say Loch Lee in the Angus Glens north of Edzell is a good walk to look out for. The old kirk and kirkyard at the start of the walk is a nice feature too, the landscape provides a dramatic backdrop! You can sometimes see deer in this area too. Further down back towards Edzell, there is a pleasant river walk at the River North Esk and the Rocks of Solitude. 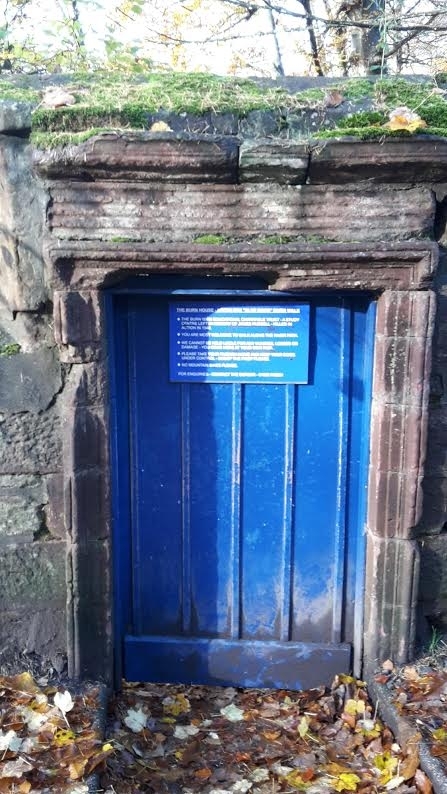 To start this walk you have to pop through a lovely little blue door- very cute! Walking boots and clothing advisable for both the walks. If you wanted a gem of a loch in the Angus Glens, then Loch Brandy by Glen Clova is excellent. It is a more strenuous walk compared to Loch Lee but the views of the hills from the top are superb! I was up there last March and we spotted a group of Whooper Swans on the loch, it was a special sight! Again, proper, strong walking boots and warm clothing in this area is highly recommended as is good research on the route to Loch Brandy from the Glen Clova Hotel. It makes things much easier and saves worrying on the route on the day. WalkHighlands website is quite useful for research and has details on walk descriptions. The Angus Glens are wonderful in general and so much to discover! If you do head up to Clova, stop for a dram in the Clova hotel.... the water there comes from the river 'Brandy' which runs past the hotel. 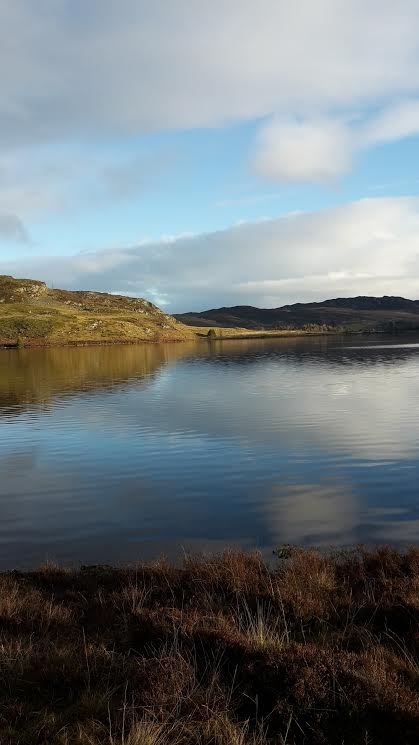 Loch Freuchie in Glen Quaich is a beautiful and interesting walk. You can circuit right round the loch in a few hours. I's second the Loch Brandy suggestion too. Backwater Reservoir is a nice walk on a bright sunny day. It's also in Angus. Aberfoyle is another great spot for loch walks as there are some lovely forestry trails there that loop Lochan Spling and pass Loch Ard. Well worth checking out. And finally Loch Katrina from Trossach Pier is stunning. Loch Leven in Fife is a great walk, there are cafes en route and the RSPB reserve to visit. It is 13 miles around, but on very easy walk/cycle path. You can also take the boat across to the castle in the middle. Easy to get to from Edinburgh too!